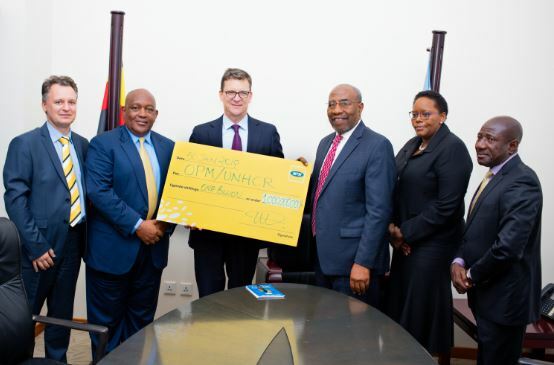 KAMPALA – The Military Intelligence on Friday questioned MTN Chairman Charles Mbire as the telecom giant’s woes with the government escalate with the latest deportation of its top executives. MTN Uganda Chief Executive Officer, Belgian Wim Vanhelleputte who took the lead in negotiating down the initial assessment of 100 million US dollars to $ 53 million was on Thursday night kicked out of the country after Internal Affairs Minister Jeje Odongo declared him an “undesired resident” in the country. The Belgian expatriate had Tuesday been summoned to the Chieftaincy of Military Intelligence in a fresh investigation on company’s dealings that are considered “prejudicial to national security”. Vanhelleputte was on summoned by the military intelligence to answer charges that senior MTN Uganda staff, deported from the country last month were allowed access into the telecom’s system to carry on work remotely, apparently after attending an MTN Global leaders conference as part of the Ugandan staff delegation in Dubai a week ago. A senior intelligence official has told this website that Mr Mbire appeared to answer same questions after intelligence got to know of the development, raising questions on why the deported officials should be allowed into a system on a territory where they are persona non grata. MTN Uganda is yet to speak about Mbire’s questioning. It is understood that President Museveni has approved Mbire’s questioning after nodding to Vanhellputte’s deportation on Thursday night. But in a statement released on Friday morning, MTN Uganda said they had not been given reasons for Vanhellputte’s deportation. “We are understandably concerned about these developments and are engaging with the authorities to seek understanding that would lead us to resolve this matter,” the telecom giants said in a statement. MTN Uganda has since appointed Engineer Gordian Kyomukama, a highly trained electrical engineer and been working as it’s Chief Technology Officer as acting CEO. 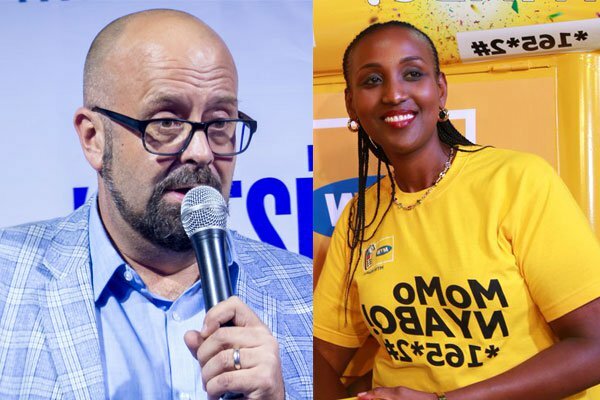 MTN Uganda problems escalated three weeks ago after the Uganda Police deported senior officials Olivier Prentout, a French national, and Annie Tabura, a Rwandan, to France and Rwanda respectively, for allegedly engaging in activities that threaten national security. Elsa Mussolini, the MTN mobile money general manager, was also deported back to Italy after being grilled by the Uganda police Special Investigations Division (SID) in Kireka, near Kampala. The telecom giants are currently operating on a temporary licence after President Museveni insisted they should be charged USD100m before their operating licence is renewed.